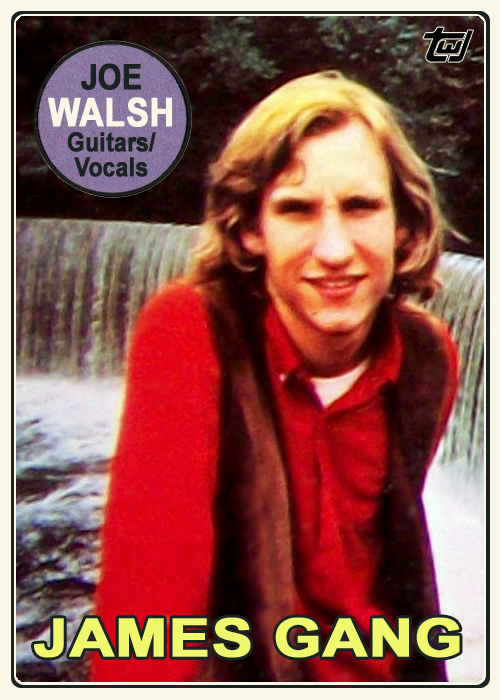 Joe Walsh first achieved stardom with James Gang on Yer’ Album in 1969. It was 1970’s James Gang Rides Again that contains the classic rock staple “Funk #49,” while another legendary song, “Walk Away,” appeared on the band’s third and final studio release, Thirds . The group released three studio albums in three years, along with a live album, before Walsh left to form Barnstorm . Another “snub” from the All-Star Game this year, Reds outfielder Jay Bruce had a slow start but has really come on strong the past several weeks. He ranks in the top ten for home runs and RBI in the National League. This “fun card” comes from another TWJ reader and Reds fan Fordman. 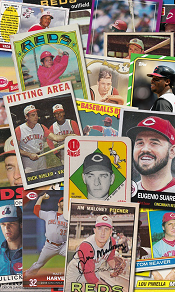 He has posted several of his custom creations at Reds Zone, a great fan community for fans of the Cincinnati nine. A month ago, I would have guessed that Shin-Soo Choo would be one of the outfielders on the All-Star team. He had such a hot start and was such a pleasant surprise for the Reds, it was reasonable to expect him in the midsummer classic. He cooled off a bit though, and so we are left with this “fun card” of a guy who should have been an All-Star, similar to Tony Bernazard in the 1987 Topps set. To be honest, this one surprised me. As dominating as Aroldis Chapman was in 2012, he just didn’t seem quite as overpowering this year. Bruce Bochy disagreed and named him to the National League squad. I’ll take it. Brandon Phillips beat out the Cardinals’ Matt Carpenter for the starting spot on the National League team, and it was either a very tight race or MLB wanted us to believe it was with the hype they put on it over the last few days of voting. I love the 1969 Topps All-Star design. There were three Reds featured on the 1969 design: Pete Rose, Johnny Bench, and second baseman Tommy Helms. Patrick is back with some fantastic “fun cards” featuring the Reds representatives to the National League All-Star squad this year, plus one that probably would have made it if he hadn’t cooled off over the past few weeks. Today we have the starting first baseman for the NL and former MVP, Joey Votto. In 1969 Led Zeppelin burst on to the scene with some of the loudest blues rock around. There is not a single not-awesome song on their debut album, and their renditions of Willie Dixon’s “You Shook Me” and “I Can’t Quit You Baby” are insanely good. 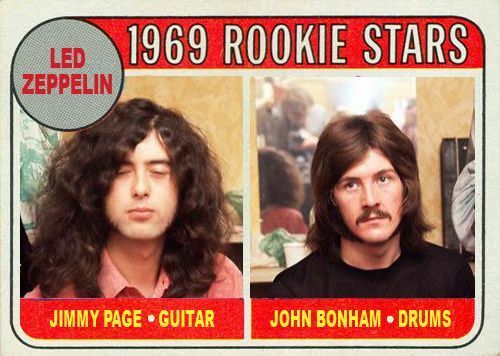 If Topps made music trading cards in 1969, which set of “Rookie Stars” would be worth more today? 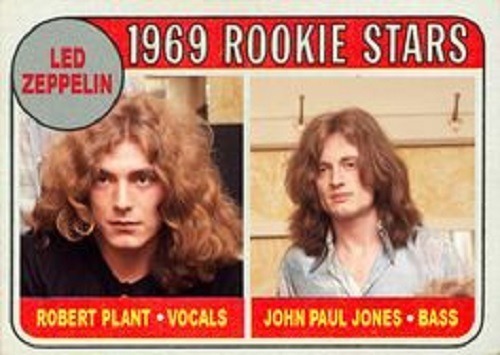 Plant & Jones, or Page & Bonham. Plant has sustained his career much better than Page, but Bonham’s early demise might have driven up the price of his card in the 1980s rookie card craze. Purchase the debut Led Zeppelin album.